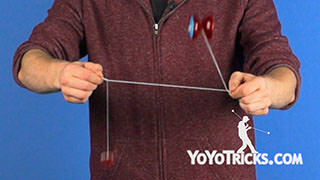 Learn how to do a Double On Trapeze Release with a Freehand Yoyo (5A). 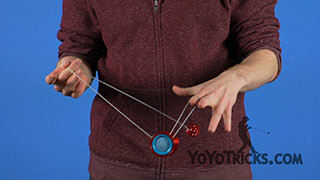 Double On Trapeze Release Yoyo TrickIn this video I am going to teach how to do two tricks. 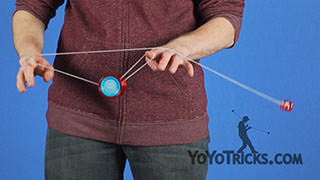 The two are Double On Trapeze release which looks like this and Triple on Trapeze release which looks like this. 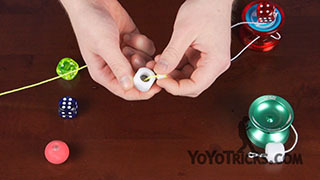 Now these tricks may appear to be very simple but they actually teach some very important lessons. The first lesson is that we find that the biggest 5a hurdles for people to overcome is their fear of letting go of the counterweight. Because they might drop and damage their yoyo. 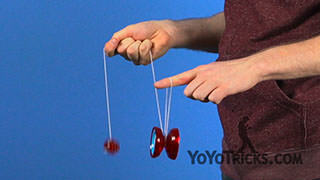 The second is that it teaches new 5a players how to control the counterweight by moving their hand in space. 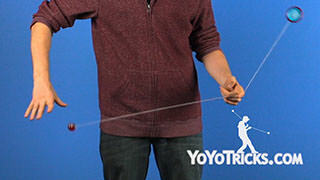 So to learn the first trick Double On Trapeze Release, you want to start in Double on Trapeze. 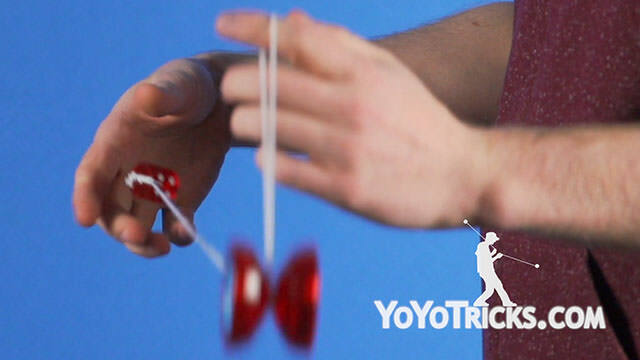 If you are not sure how to do this we have a tutorial on our website. 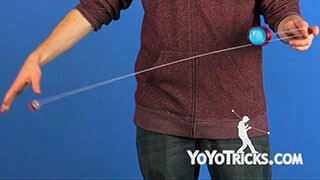 Before you let go of the counterweight you want to make sure your string proportions are correct. 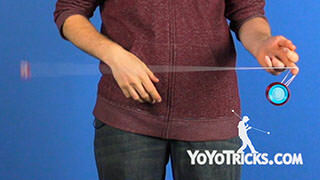 String proportions are very important in 5a, especially in more advanced 5a tricks. 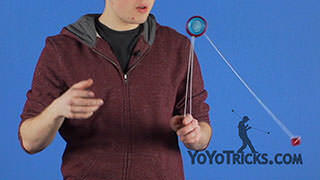 You want the counterweight string to be about twice as long as the string coming off of the yoyo. So once your string proportions are correct, you want to lower your weak hand and then drop the counterweight and pull your weak hand up. 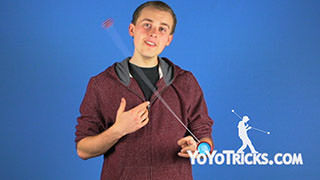 When you pull your weak hand up, you add momentum to the counterweight which makes sure that it comes all the way around. 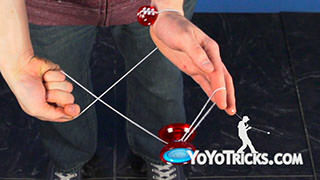 So once you mastered Double on Trapeze Release then you are ready to move onto Triple Trapeze Release. 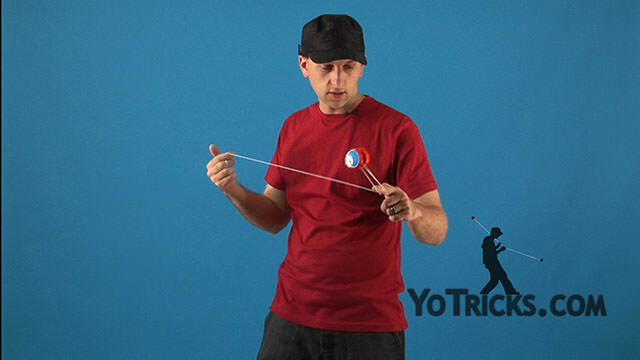 So you want to start in a triple on trapeze, make sure your string proportions are right and then drop the counterweight, pull your hand up, drop your hand and pull your hand again, after the counterweight swings around. 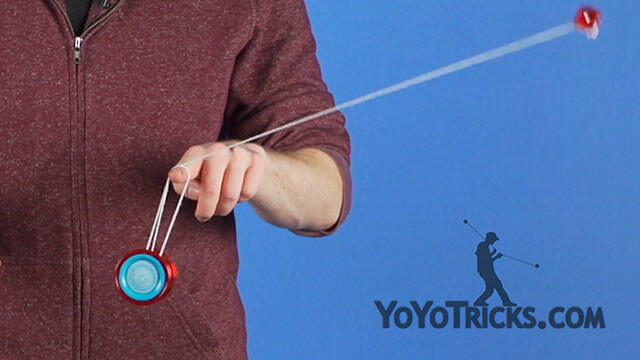 You want to catch the counterweight by turning your throw hand inwards, just as how we show in our How to Throw and Catch a 5a YoYo. 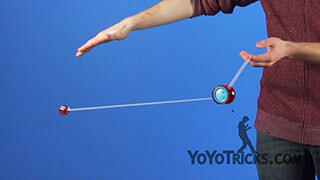 That is Double On Trapeze Release and Triple On Trapeze Release.